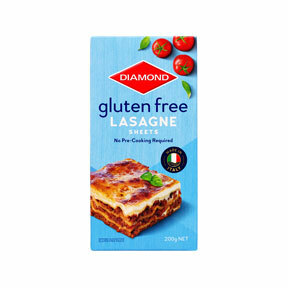 Diamond Gluten Free Lasagne is easy as there is no need to pre-cook the lasagne sheets - simply assemble. 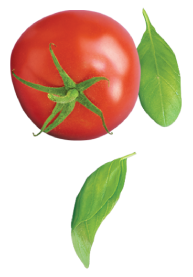 For gluten and dairy free lasagne swap milk and butter for non dairy alternatives and replace cheese with breadcrumbs. Brown the mince in a hot frying pan, breaking it up as it browns. Add the pasta sauce and beef stock to the mince, using some of the stock to rinse out the pasta sauce residue from the jar. Bring to the boil. Reduce the heat and simmer for 10 minutes. Place 3 lasagne sheets in the bottom of an oiled 8 cup capacity, deep ovenproof dish. Top with half the meat mixture then one third of the Bechamel Sauce. Place another 3 sheets of lasagne on top of the sauce. Repeat the layers, ending with a layer of Bechamel Sauce. Bake at 180 degrees for 30 – 35 minutes or until golden and cooked. Cooking time will depend on the depth of your dish. Use a metal skewer to test if the lasagne sheets are cooked. Remove from the oven and stand for 10 minutes before serving. Pour the milk into a saucepan. Cut the onion in half and peel. Add to the milk with the bay leaves and peppercorns. Bring to the boil. Remove from the heat and leave for 15 minutes for the flavours to infuse. Melt the butter in a saucepan. Mix in the gluten free flour and cook until frothy. Remove from the heat and whisk until the mixture boils. Continue to cook until the mixture thickens.